The Accelerated Welding Program is a 10 module course that will prepare a student with little or no welding experience for an entry level structural, fabrication or pipe welding position in commercial/industrial construction, fabrication, industrial maintenance and pipeline construction. This program also allows students who have previous welding experience to begin training at their level of experience. Students will train in the Byers Technical Institute welding lab for 32 hours per week for a total of 13 weeks. 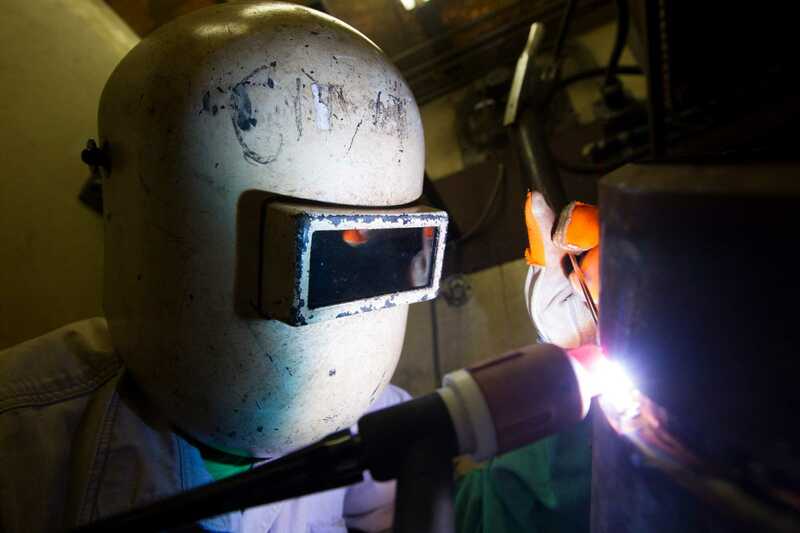 At the successful conclusion of this program the student will take two (2) welding certification exams according to AWS code D1.1 certification of welders & ASME Section IX certification of welders. Students who successfully complete the program will also receive an industrial/extended boom forklift operator certification and a 10- hour OSHA training certification. Upon completion of the AWP the student will receive a Program Completion Certificate. using this equipment to prepare various types of metal for the welding process. equipment. 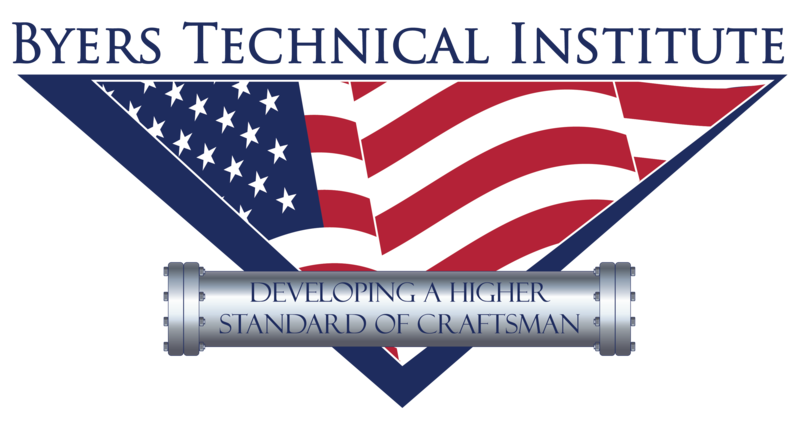 Students will demonstrate the ability to cut metal from 3/16” to 1” on plate and pipe. These hands-on skills will be used and developed throughout the duration of the program. Testing: The student will be given 2 written test and 1 hands-on welding skill test during this module. The welding skill test will be scored by visual and dye-penetrant (PT) examination.